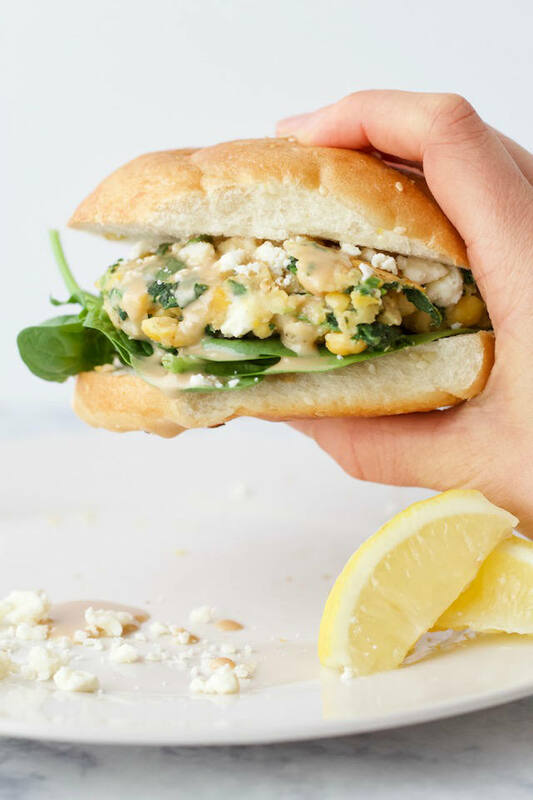 As if a chickpea burger couldn’t get any better. Bean burgers definitely deserve some more r-e-s-p-e-c-t simply because of how easy they are to make. I mean, raise your hand if you’ve ever felt personally victimized by a veggie burger recipe with a CVS receipt of ingredients. See, we’re all in this together. ..Okay, fine. Julia Childs didn’t actually say that, but when I say it in my mind, I sound like Julia Childs so it might as well have just been her all along. It’s the closest thing to eating pure salt without the strange looks. 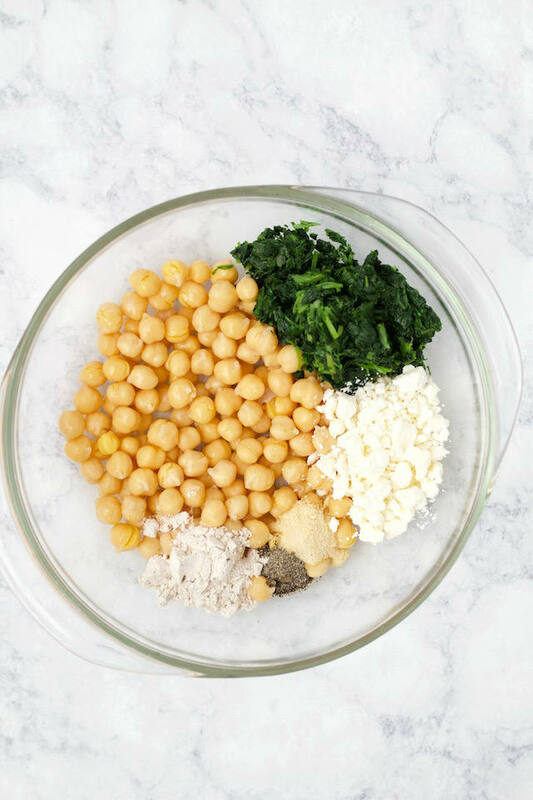 Did anyone ever think that spinach and feta would be such besties for the resties as they are? Like, if this was high school, I’d vote them cutest couple just so peanut butter and chocolate don’t win it for the third year in a row. 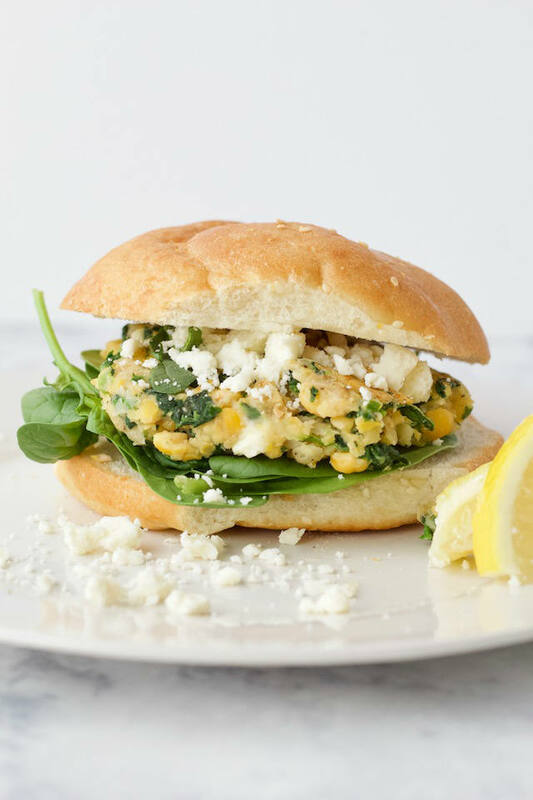 But somehow, spinach’s earthiness and feta’s saltiness turn humble legumes into a mediterranean lovechild on a bun. I seriously think Julia said that at one point in her life. Buy the big cans. You know, the cans of beans you could do some serious damage with. 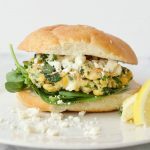 You get more for your money, and can make a double batch of these burgers to stock your freezer with. Use frozen. Chopped and frozen spinach is seriously my favorite shortcut ingredient. It is SUCH an expensive way to get a lot of cooked spinach without watching an entire package wither away into a few leaves. Plus, it saves you major time and prep. Buy a block. 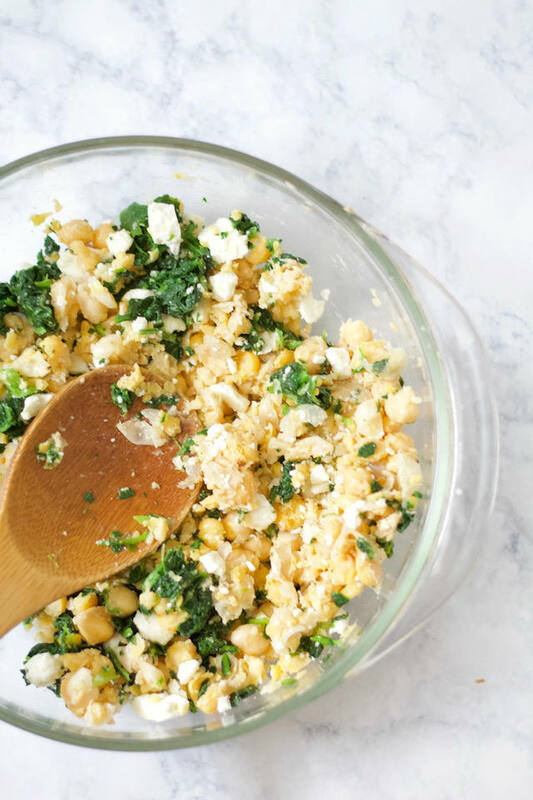 If you can find a block of store-brand feta, or at your grocery store’s salad bar, it is usually less expensive than the pre-crumbled packages. Just make sure to check the price per pound, and compare to find the best bargain. 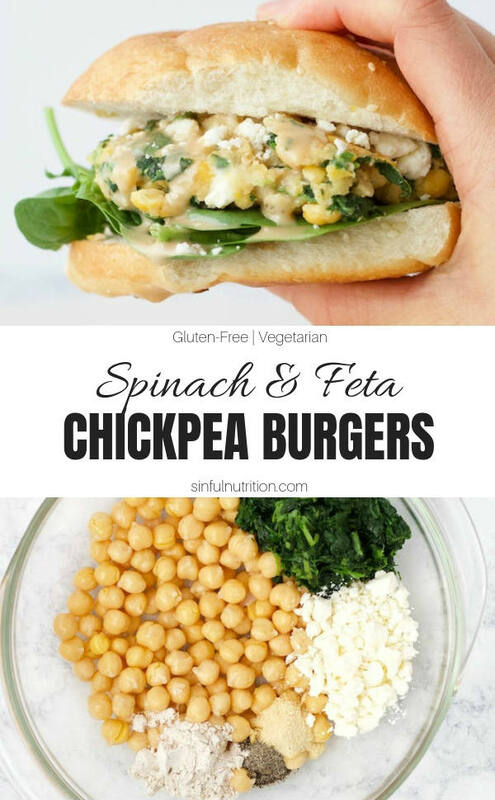 Pin this recipe to your Burger board! What would you put serve this with? You make vegetarian look GOOOOODDDD!